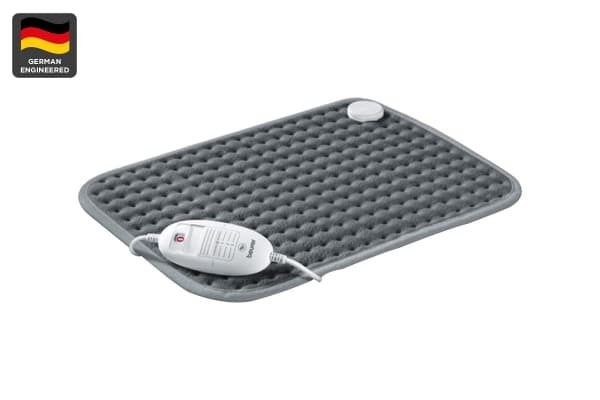 The Beurer Personal Heating Pad is a luxuriously soft heating pad made of fleecy micro fibre for soothing warmth and pain relief. The Beurer Personal Heating Pad features Turbo Speed settings for rapid heat up, breathable, cosy and skin-friendly materials and an easy detachable cord. The electronic temperature control features 3 illuminated temperature settings with automatic switch-off after approximately 90 minutes using the BSS (Beurer Safety System). This heating pad is perfect even for those suffering with sensitivities and allergies.